This is probably one of the biggest updates ever. Not only have i added all of the 1.7 blocks, but i've also completely overhauled every plant in the game added ctm support for every last one of them. I also texture most of the biomes individually, meaning from one biome to another the grass texture might change, or one type of tree might appear entirely different between biomes, there will be different plant types in different biomes, etc. This is Broken Anachronism like you've never seen it before. 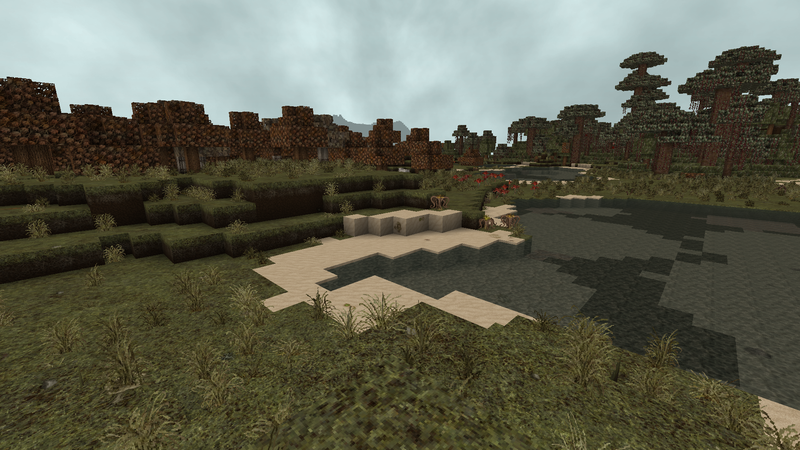 It looks like a whole new texture pack, and it pretty much is. Feb 18 - Microedit: Fixed the portal. Feb 26 - Microedit2: Fixed snow.